Jeff Knaebel with 47-inch Northern Pike caught on Small Lake. For the do-it-yourself fishermen, we provide another exclusive fishing opportunity. A short distance away from North Knife Lake lies a comfortable cabin on the shores of Small Lake. 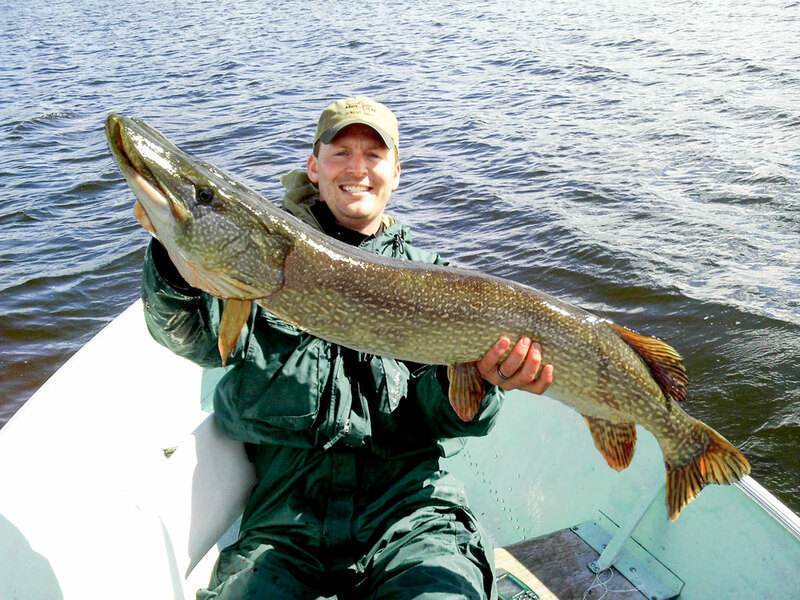 Small Lake is known for its massive northern pike and chunky walleye. Here, fishermen are supplied with everything needed for a remote fishing adventure. Quality boats with 4-stroke motors will move you around the lake to areas you decide need to be fished. All fuel, paddles and life jackets will be supplied. On this adventure, you are the boss. Fish when you like. Prepare your meals when it suits your schedule. Your group will be the only one on the lake, so it’s up to you. The cabin at Small Lake has running water, indoor plumbing and three bedrooms. Up to 10 fishermen can stay at this remote location, with a minimum of six required.